Fred Rogers (also known as Mister Rogers, and everyone's favorite neighbor) once said, “Life is for service.” We believe that, and that’s one of the many reasons we like working with people who are on a mission. This project allowed us to work with clients and end users who want to serve others, and to create a resource to help them do what they do best. Cardinal Service is a Stanford initiative to support and equip Stanford students to become global leaders and pursue ethical and effective service. They wanted to build a site to connect students to service opportunities and hear stories from fellow students. 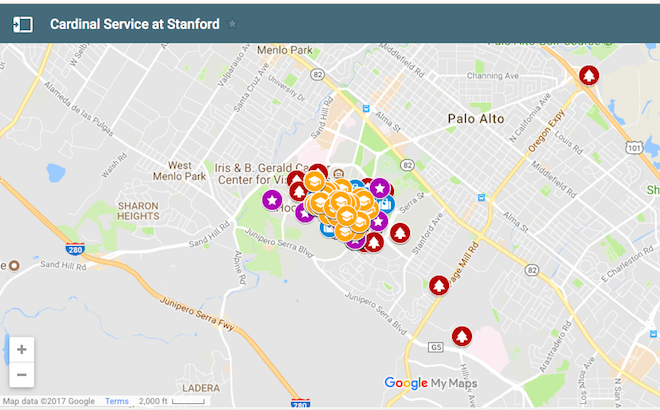 This was a perfect site for Wordpress: we had already helped the Haas Center for Public Service team build a blog on the Wordpress platform to share student experiences, and we were able to use that as the starting point to create a hub that connected all the service-minded opportunities, events, and people at Stanford. The Wordpress social media plug-ins as well as some import and export plug-ins and features (like the WP All Import plug-in and the Modern Tribe Events Calendar) enabled us to leverage existing technology and content to tell a diverse and effective story about the program. With the new Stanford homepage just launched in the summer of 2017, everyone was inspired to try to embrace the innovative look and feel. With our lean and efficient team, we were able to translate some new styling and features (like the sticky navigation menu) to the Haas site, giving them state-of-the-art design on a reasonable budget... without employing a new designer! 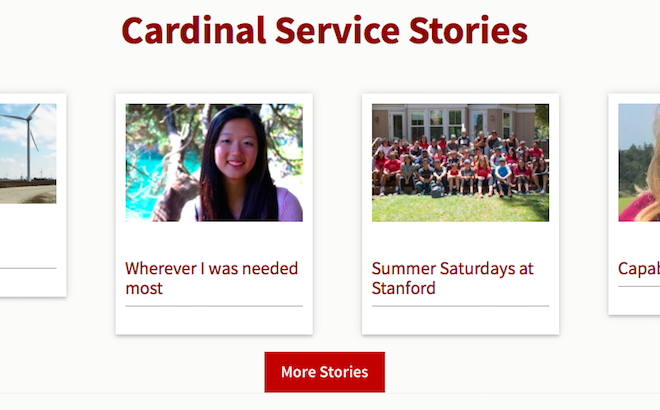 The Cardinal Service team had already spent a lot of time on their own branding, so we were able to leverage the work already done on colors, images, and language to create a beautiful site that encouraged and enabled students to, in their words, “be of greater service.” Now that’s a mission we can get behind!